The intensive, comprehensive and highly interactive 3 day residential workshop gives you the theory, demonstration and practice of Corporate Coaching skills in a safe and secure environment. Under the guidance of fully experienced Coaches and Tutors you participate in themed training sessions where every opportunity is taken to put theory into practice through a series of individual, syndicate and group activities. Noble Manhattan’s preferred study centers are chosen with care and consideration. Our professional approach and considerable experience has shown that for our students to get the very best training, the environment must not only be conducive good learning but to also reflect the importance of the training undertaken. Study centers that maximize the learning process and reflect the standards of our training include Jasmine Hotel Sofia. It is a premier training center that meets the NM’s stringent requirements. The Jasmine Hotel, nestles in some of Bulgaria’s most beautiful countryside at the foot the gorgeous Vitosha Mountain. When you visit for the first time you will be inspired by its breathtaking beauty and immediately feel refreshed and energized. * You will also have opportunities to practise what you learn under expert supervision. Di is Head of Corporate for Noble Manhattan, also fulfilling the role of mentor and supervisor for NM students working through both the Practitioner Diploma and Corporate Coaching courses. 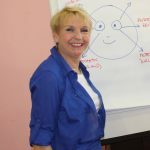 She wrote Noble Manhattan’s ‘Meaningful Change’ weight loss programme and the NLP-based ‘Elegant Coaching Skills’ course. David is one of the creator of the Executive and Corporate Coach Diploma course and this is one of the rare occasions to meet him in person and gain from his increadible wisdom and experience in the field of corporate coaching. In addition you will look at a practical approach to the world of leadership and what it takes to be a competent coach of leaders. You will explore material that considers the individual and what it takes for them to perform better within their organisations, and explores the relationship between the day-to-day behavior of leaders and what might be the psychological “drivers” that underpin these behaviors. The process for coaching teams / Outlining profiling systems to use in team coaching situations / Modelling characteristics and behaviors of high performance teams / Developing your team coaching skills. Qualities and behaviors of leadership / Leadership skills for the Coach / Developing leadership strategies / Coaching skills for leaders.